This package is a great option for teams that need a short burst of inspiration and fun to galvanize their work productivity. It strikes the perfect balance between fun and productive, so your team can get some quality planning, discussion, project work, or whatever else done while also enjoying some fun activities and enjoying a continental breakfast and buffet lunch together. Your team can wrap up their staff day away by fishing, swimming, canoeing or kayaking on shores of the beautiful Lake Wononscopomuc that the Interlaken borders. There is also an option to include a two-hour team building program to your staff day away if you'd like to add some structure to your day. The Company Day Outing Package allows for some great flexibility in your schedule on your day away, which is great for planning and weather purposes. Reserve your spot today! Deluxe Continental Breakfast with one Hot Item? 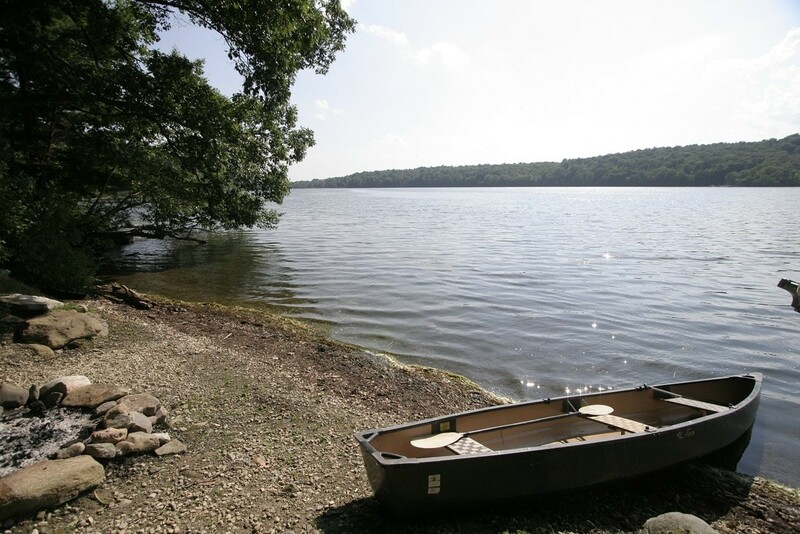 Lake Wononscopomuc, with raft to swim to, canoes and kayaks to use. Option for fishing as well!